Husband. Father of 3. Cricket tragic. Heavy metal thunder. Sci-Fi nerd. 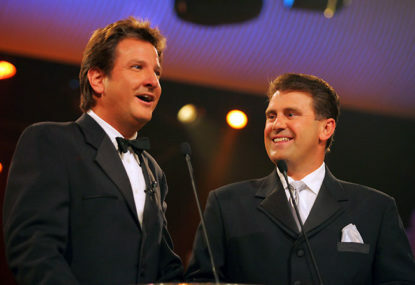 Good old Collingwood forever. It’s beer/scotch o’clock. Live long and prosper. Of all the left field selections in recent times in the various Australian cricket teams, that of Marnus Labuschagne in the Test team in the recent Pakistan series is one of the most curious. Was anything except defeat expected in England? Tell me honestly. 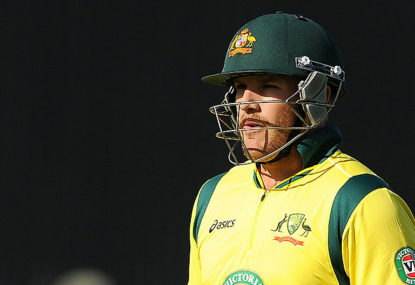 When you first looked at this Australian squad as selected for the five ODI match series against England in the Old Dart, did you really expect any other result apart from utter annihilation? Test cricket more than held its own in a fascinating match between Ireland and Pakistan this week at Malahide, as burly Irishman Kevin O’Brien once again showed he is the man for the big occasion. Friday signals a terrific day for cricket with Ireland starting their first ever Test match, creating a joyous and feel good cricketing story that the game desperately needs at the moment. India’s dominance over world cricket outside the playing field has been reinforced in the past week on a number of occasions. Yesterday’s announcement of the ODI and T20 teams to tour England and Zimbabwe raised some interesting talking points, with continuity in the aftermath of the ball-tampering scandal at the forefront of discussions. 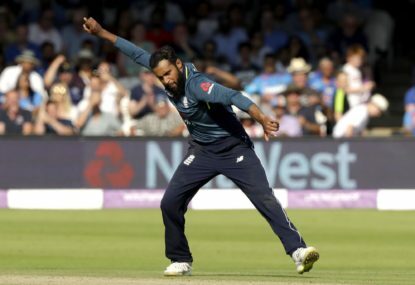 When Fawad Ahmed first came to national prominence six years ago, he was widely seen as the answer to Australia’s spin bowling prayers. Is the World Cup format in cricket's best interests? The ICC has gone back to the future with its scheduling of the 2019 World Cup, which begs the question as to whether it is a better way to decide the best team than what has been used in recent editions? 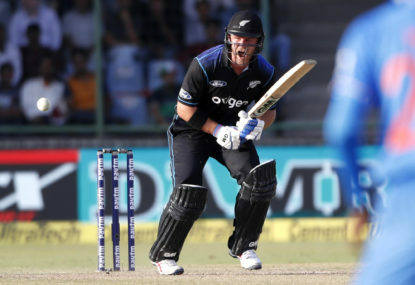 New Zealand’s Corey Anderson had one of those forgettable days that we have all had on the cricket field on Wednesday, as the Chennai Super Kings (CSK) chased down an unlikely target to defeat the Royal Challengers Bangalore (RCB) in a high-scoring match. 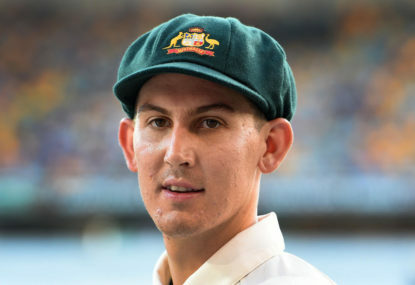 How can Nic Maddinson not get a state contract? I fail to see exactly how that is possible that New South Wales cricket – and Australian cricket for that matter – is going so well that Nic Maddinson is not considered to be good enough to warrant a State contract for the 2018/19 season. 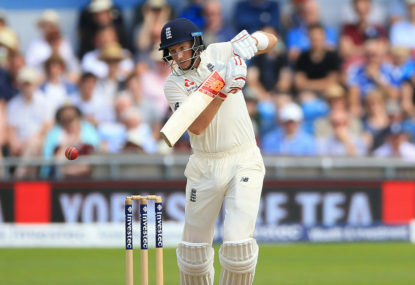 The ECB’s brave new initiative and fresh approach to cricket,’The Hundred’ domestic competition in the 2020 English summer, has missed a real opportunity to bring in ‘backyard’ rules. 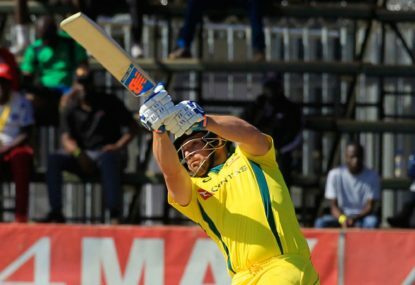 The change of Australia’s televised cricket coverage means not only can we hope to see new technologies and techniques, but there is the chance to wipe the slate clean when it comes to commentary and revive the lost artform. When your country has just been accepted as a Test nation, you have qualified for the next ODI World Cup and you have one of the most exciting young bowlers in world cricket – Rashid Khan – others might be overshadowed. 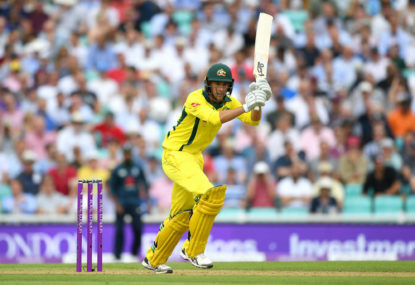 The probable direction for Australian cricket for the next year appears to have been set by the announcement of the new Cricket Australia contract list, with a couple of stand-out winners and some notable losers. 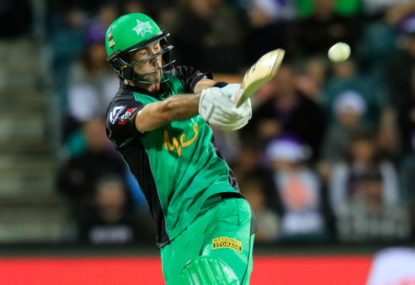 Ben Cutting’s decision to retire from first-class cricket and concentrate on T20 brought with it the usual concerns. 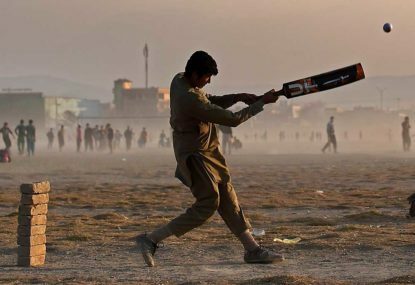 Can the IPL maintain a cricket tragic's interest? 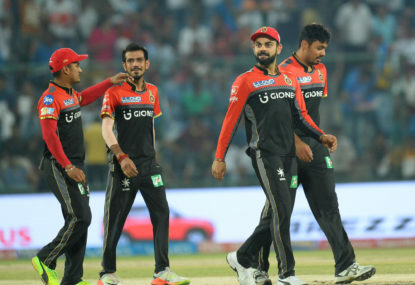 For the first time in five years Australians will have the chance to view the Indian Premier League (IPL) competition without having to negotiate tricky internet sites with a thousand pop-up ads interrupting the games. My main gripe about either Marsh brother is the number of chances they have had compared to other players. Last year the figure was given that Shaun has had nine recalls to the national team. Players like Callum Ferguson and Cameron White would love just one extra shot at the team, not eight more. It smacks of favoritism. And Mitch is only being chosen because he bowls a bit and they are scared the fast bowlers will break down in the middle of a Test. In a perfect world everyone would like to see them succeed. But surely others deserve a chance, and also a fair run at the position like both Marsh brothers have had that others can only dream of. I absolutely disagree with CA decision to cancel the Bangladesh tour. It is short-sighted and, again unfortunately, not in the interests of expanding and fostering WORLD cricket rather than CA coffers. I wouldn’t say it was more disturbing than the two things I covered in my article. Steve Smith and Ricky Ponting never missed a Test match to warm up for another Test series. That is where I think the mistake in this instance has been made by Kohli and the BCCI. I also agree that change should occur at CA. We may need some explosives to budge them however. ‘Bullies’ was not the sentiment I was going for in the article, and I didn’t write the headline. Completely correct. CA has just struck a billion dollar television rights deal, but fobs off a Bangladesh tour for commercial reasons. At a time our cricket needs to be extending olive branches in order to win the hearts of the fans back, this is what our board does to Bangladesh cricket and its supporters. Yet another stake in the heart by the administrators of the game we try to love. I’m sure India will come to the party on D/N Tests, but on their own terms in their own time. They did the same with T20 cricket initially, and look how they took that on once they realised the benefits. Whether they agree to play a day nighter in Adelaide on this tour is another question. Personally i don’t like the Day Night Tests. I don’t like the pink ball, at the ground it is very difficult to pick up especially in the twilight before the lights take over. There is enough night cricket with ODI’s and T20’s. I understand the argument about bringing people to the game and being on in prime time for TV viewers, but I still don’t like it. I’m sure Langer will bring the same approach to the national team as he has with Western Australia and the Perth Scorchers. And it has been successful. They play hard, they never believe they are beaten, and their skills are excellent. Not only that, he has managed to take certain players who were a ‘little undisciplined’ off the field, and helped them turn that part of their demeanor around. Huge changes aren’t required, more I would think just need to hit the reset button. Langer is a professional and he loves the baggy green. i believe his task is coaching, not changing a culture. Getting the most of players such as Khawaja and Renshaw and Handscomb to ensure our team is performing to the best of its ability. 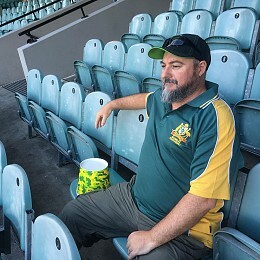 Growing up in the 80’s was a tough time for an Australian cricket supporter. When you are cheering on Mike Whitney to hold out for an over against Richard Hadlee to draw a Test in order to win a series against New Zealand in 1987/88… you know things are tough. Losing players of the calibre that went on the rebel SA tour made for a real lottery at the selection table for a couple of years. I remember sitting in our Year 9 History class in 1985 when the whole selection fiasco for this was going on. We kept trying to pull names out of a hat to work out who would end up getting a touring spot. You have to wonder how the squad felt about touring with those guys who Packer paid to get out of their SA contracts. Not only had they now been selected to tour England, they’d been paid extra to do so! I think your campaign idea is a terrific idea. But my goodness I dislike “You’re the Voice”. It is the equal of Daryl Braithwaite’s “The Horses”. The only concern I would have in choosing what games to play where is the state of the pitch and the outfield. Australia has thrived playing the first Test of the summer at the Gabba because of the fast wicket and outfield. The W.A.C.A was generally the same. 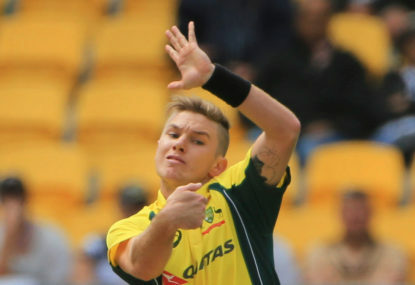 Flat wicket at Adelaide, low wicket in Melbourne and turning wicket in Sydney. Nowadays they are just about all drop-in wickets, and I’m sure we’ve all noticed how much the surfaces have now changed, to the point where there is no character left that these grounds all once had. The cricket on show has suffered because of it. 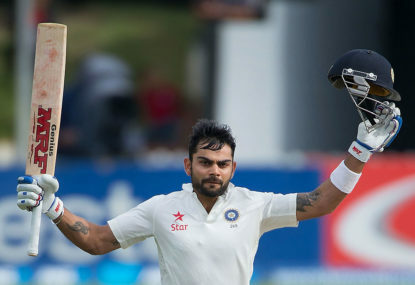 India shied away from playing in Perth last tour for fear of being blown away on a fast track. No doubt there were similar thoughts this time about playing in Brisbane. I’m not sure those wickets really have that pace in them anymore. Surely the ‘facilities’ at all of these grounds aren’t what is the problem. A day/night Test over the Australia Day weekend at the Gabba might be the perfect tonic to draw more Brisbane people back to Test cricket at the ground. Absolutely agree Paul. Money talks. 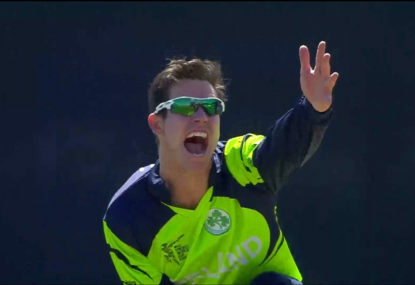 I’ve enjoyed watching Ireland and Scotland as well as Afghanistan in the last three years, and they need to be encouraged with a place at these big tournaments rather than being forced out because of other reasons. Watching Nepal at the qualifying tournament was terrific. Let’s hope those nations continue to improve and get to see more international competition. I’ll always remember Pakistan’s run in the 1992 World Cup the last time this format was used. Pretty much came from nowhere to win it all. Great times. It could certainly happen again. Agreed, I enjoyed the qualifying tournament, especially given the way that Afghanistan won it against all odds after their terrible start, Zimbabwe cracking under pressure against UAE and missing their chance and Afghanistan defeating West Indies twice. It’s just a shame we won’t see teams like Ireland and Scotland, who both did so well, playing in the main event, especially as the tournament is right on their doorstep. Agreed. 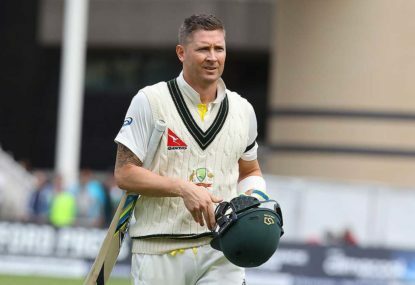 Not only has he batted superbly he has been a leader on the park, and has slotted in perfectly in the captaincy role to replace Warner in all facets. Sunrisers bowling attack has been terrific as well, and it has been great watching Rashid and Shakib at their work. To be fair, if you see the two points you have mentioned as being my reasons for him deserving a state contract, you haven’t really read the article too closely. Absolutely agree. It had a bad look early on. Kohli has obviously decided these are my two bowlers to bowl the last six overs, come he’ll or high water. I agree with most of what you say Paul, and I don’t have strong feelings one way or the other. 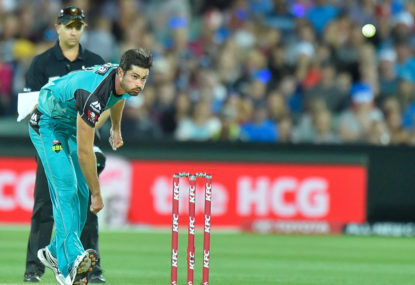 I think that if I was Jackson Bird or Chadd Sayers though I would feel a little let down given the lack of opportunities they have been given in the last 12 months, and are then left off the contract list, while for instance both Richardson’s haven’t done a lot (if any) more at State level but are now contracted. It can only mean the selectors think they have more chance of being in the mix in the next 12 months than Bird or Sayers, otherwise why give them a contract? Again, they’re all good discussion points for the cricketing public. It will be interesting to see the squad chosen for the ODI tour of England. That should be a reasonable pointer. I agree that Chris Tremain is very unlucky not to have been considered. Each time I’ve watched him play at the ground he has been the most dangerous bowler on show. Yes, poorly worded sorry. 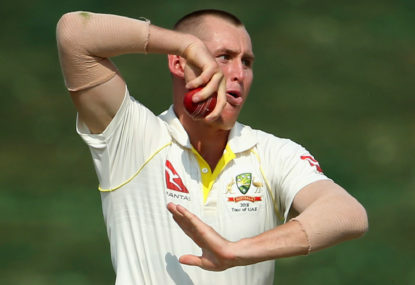 I mean to reflect he has been 12th man throughout India and Bangladesh over that time when he was passed over for Cummins and then O’Keefe who were not on tour at the time but flown in, but had played only the one Test in the past 12 months, and that on a dud pitch. Love the article Stephen. It is a fair sentiment and a fair question to consider. 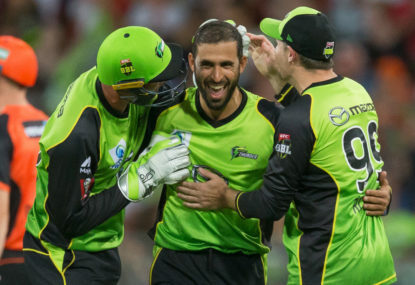 Everyone wants Khawaja to succeed because he looks so good when he is flowing. And I agree he was crucified in Sri Lanka and then India and Bangladesh over the past two years. I also agree he had the chance to nail number three down for the forseeable future this season, and he just didn’t do it. The loss of the three suspended players probably extends his run, but he needs to stand up now and show all of us he is the answer at number three against good quality opposition. He has the chance against Pakistan, India and Sri Lanka now to show us he can survive and succeed against spin. Great read. As a fourth generation Collingwood supporter there is no middle ground, it is always either (sorry for the pun) black or white. After the 2010 Grand Finals it was impossible to believe the Pies would not win at least one more Premiership in their window of opportunity. Everything set out here is a good assessment of why we are in the position we find ourselves in 2018. I think this is very close to the mark Adrian. Very close. Wow. That is massive in regards to where cricket will be broadcast next summer. Surely 9 can’t do both justice at the same time? On another point, given that 9 has the worst set of commentary teams for both cricket and rugby league, who will they get to do the tennis? That 90-odd minutes last Friday afternoon was fantastic in our office too. Emails flicking back and forth, we weren’t fast enough to keep up with all the wickets. Perfect way to end the work week. Great piece, well written. I agree wholeheartedly. Let’s hope that we can return to the cricket tomorrow and get on with what we love.